Combine water, espresso powder, Kahlua and sugar in a shallow bowl and stir until the sugar and espresso powder have dissolved. Set aside. Whisk the egg yolks and sugar in a medium sized bowl until combined. Set the bowl over a pot of simmering water and whisk constantly for 5 minutes, until the yolks have tripled in size and become thick and light-lemon colored. Remove from heat and whisk in the mascarpone cheese. In a separate bowl, beat the heavy cream and vanilla extract with an electric mixer until stiff peaks have formed. Fold the heavy cream into the mascarpone mixture. Dip each lady finger in the espresso mixture just enough to get them wet, do not soak them! Arrange them in a single layer in a 9x13” pan. Pour half of the mascarpone mixture atop the lady fingers and spread evenly. Arrange a second layer of lady fingers atop the mascarpone mixture. Finish with the second half the mascarpone mixture and create a smooth top. 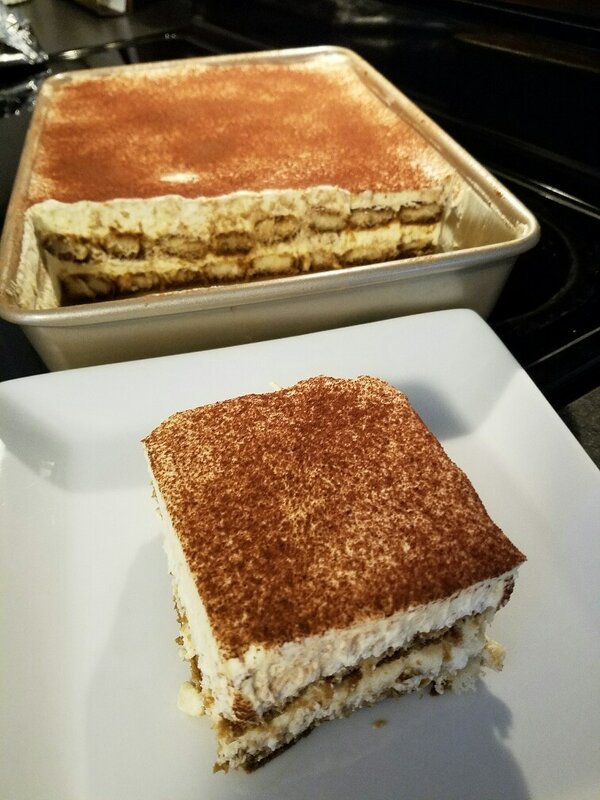 Sift the cocoa powder over the top of the tiramisu in an even layer. Refrigerate overnight.